Home » Blog » techniques » Multi Pitch Climbing – Is It Worth It? As I am climbing and learning more about outdoor climbing, I came across the terms single pitch and multi pitch very often. I also have mentioned those terms in a lot of my blogs. For new climbers, learning different rock climbing terminologies and the climbing processes all at once can be overwhelming. The purpose of my website is to unfold the rock climbing world into baby steps so that everyone can understand and enjoy the process as much as possible. In addition, I am also learning more in depth about rock climbing which I am totally addicted to. I shall dedicate this article to one subject, multi pitch climbing. We will talk about what it is, why do I want to climb multi pitch, and what it takes. To understand multi pitch, I would like to explain the meaning of a single pitch. A single pitch is a route with two belay points or anchors. The first anchor is the belayer at the bottom of the base and the second is the top of the route. The top anchor can be an existing bolt or a cam protective device properly placed between the cracks. Sport climbing routes in the gym are generally a single pitch. The length of the route or a pitch maybe determined by the availability of the anchors, the quality of the rocks, or the size of the rope. A pitch is usually shorter than a length of a climbing rope and seldom longer than 100 feet. A usual length of ropes for outdoor climbing in the US are 50 meters (165 ft), 60 meters (200 ft) or 70 meters (230 ft) long. Most pitches for long climbs can be more than 160 feet long. A 160 feet long climb would be broken down into two pitches hence the word multi pitch. There are routes that has 600 to 700 feet long, 6 to 7 pitches. As far as the difficulty of climbing, multi-pitches also use the same climbing rating in the National Climbing Classification system as the single pitch. Multi pitch is combination of multiple routes with longer climb taking me up to higher grounds and further to the top. I have not yet have an opportunity to explore the multi pitch climbing but I would love to try. I believe it will open me up to more opportunity to explore the mountain further. For a single pitch climb, it takes me few minutes to an hour depending on the difficulty of the climb. It is great to learn the feel of the rock and the different way of climbing it. However, I would like to spend more time and experience climbing to different destination without having to be belay down right away or limited by the length of my rope. Multi pitch climbing opens up to new cliffs and new terrain on taller mountains. The experience alone is exciting. The feeling of achievement and being on top of the world are exhilarating. All in all, I would like to climb multi pitches for the experience and the journey to be on top of mountains. Most of the multi pitch climbing requires experience in trad climbing for placing protective gear and anchoring. 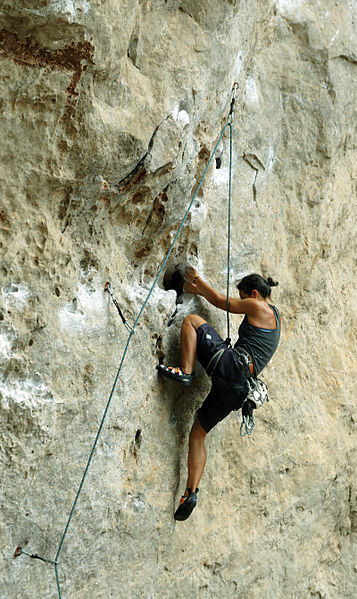 There are multi pitch routes that do not require traditional gear for sport routes. They are harder to find. However, not impossible. I found a great article by Climbing.com that listed 8 long moderate sport routes which requires minimal traditional gear => Non-Traditional: 8 Long, Moderate Sport Routes. Lots of practices climbing outdoor is helpful to get yourself ready for multi pitch climbing. It is good to be familiarize with your protection equipment, creating anchors, placing gears in cracks, and understand your system. 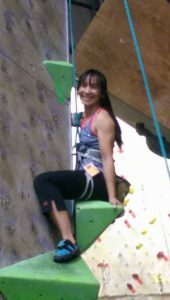 Here is yet another great article by www.99boulders.com that goes into the basics of what you need to get going on multi pitch => Multi Pitch Climbing. Are you ready for a road trip? If you do not live close to the mountains where multi pitch routes are available, you will definitely need to be prepare to travel. I live in Florida where there is no mountain only swamps and sink-holes. It takes a lot longer and much more expenses for me to learn outdoor climbing. How committed are you? There is yet another easier way to learn multi pitch without having the gear and the trad experience by hiring a climbing guide. Please check out my review on Fox Mountain Guide. There are other mountain guides available where you can easily search on the internet. The guide is a little more expensive but it is totally worth it for the time and the experience. Wear synthetic clothing or clothes that could protect you from the weather such as wet or cold environment. I usually wear pants instead of shorts to single pitch climbing. It protects me from being scratched against the rocks. Bring a pair of gloves. This is helpful for belaying to prevent rope burns or even keep your hands warm in cold weather. Take them off when you climb. A light, warm and waterproof jacket is great to protect against wind or rain. Bring food and water for snacking in between is a great way to keep up your energy. The last thing you want to be is dehydrated up on top and with nothing available to replenish. I found beef jerky, trail mix, or even boiled eggs are great snacks. A litter of water should be good or bring enough water to stay hydrate. Do not over pack because it will get heavy. Bring only what you think you will eat or drink. Don’t forget to bring a few extra bags or zip locks to carry all your trash down the mountain with you. Please do not leave your trash behind. A headlamp is good for evening descend. Sometimes it may take you longer than estimated and the sun is setting. The headlamp will come handing. An extra small backpack to carry all your extra accessories and clip it to your main gear backpack. Multi pitch climbing requires skills and experiences. Please do not take it lightly. I highly recommend hiring a guide or climb with an experience multi pitch climber if you do not have the time, experience, or the gear. 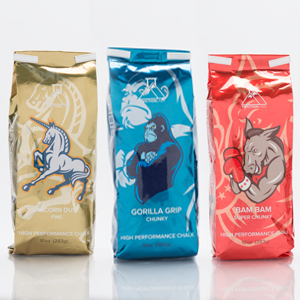 This will give you the taste of what multi pitch is all about. If you like it, you can learn more through classes and experiences. I am not qualified to lead a multi pitch expedition yet. I would definitely want more experiences so I can become one. That would be so much fun. Multi pitch climbing may be required to learn for search and rescue climbing team in order to rescue fallen climbers. I don’t know if I would be interested in that yet. We will see. I am experiencing and enjoying rock climbing one baby step at a time. I hope this article has been helpful and clear. Please feel free to leave a comment if you have any questions or suggestions. I would love to hear your perspective.